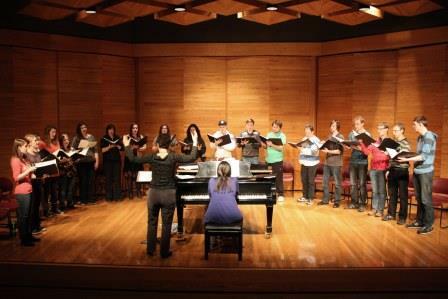 BRANDON, MB – A chorale ensemble from Brandon University (BU) School of Music is en route to the Baltic countries of Latvia and Estonia, for a cross-cultural musical sharing with some of those countries’ most respected choir performers and conductors. The BU Chorale will also perform in historically significant venues, including the Niguliste Museum Concert Hall and Riga’s famed Cathedral, which both date back to the 13th century, and Estonia’s oldest and largest university, established in Tartu in 1632. 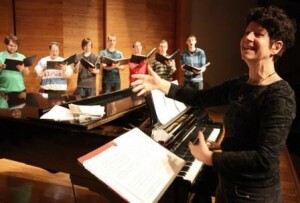 Dr. Dagenais and 19 students will spend ten days performing and participating in workshops and rehearsals with university choristers; visiting music departments at Estonian schools, the Riga Conservatory, and the music faculty of both the University of Tallinn and Tartu University; and spending a day in grade schools in both countries, speaking about Canada, eating lunch in the cafeterias, and getting a real feel for a typical day in students’ lives. This is the fifth major trip by the Chorale ensemble since 2000. Brazil, France, Quebec and Cuba have been previous destinations. Brandon University, founded in 1899, promotes excellence in teaching, research, and scholarship; educating students so that they can make a meaningful difference as engaged citizens and leaders.